Festival, Vocal, Music, Music Festival, Anirudh, Venkatesh. This young man, all of eighteen years, was born to Tamil parents and brought up in the U.S.A. His Tamil is halting when he is compelled to speak in Tamil, but surprisingly when he renders a kriti of Sivan in Tamil, his pronunciation and diction are perfect. He is endowed with a fine voice – quite strong for a gangling lad, but quite malleable and capable of fast movement. Music is his passion and he sings whenever and wherever an opportunity arises – in sabha-s (which, at this moment is not too frequent), temples, schools, and community festivals. In India, he makes it a point to sing before groups of under-privileged children – an urge towards social responsibility, no less. He does not seem to possess the ability or desire to do enough public relations but takes advantage of opportunities that come his way. In his earlier years, starting from the age of five, he learnt from Padma Kutty who has coached many youngsters in California, U.S.A. He continues to learn from her. Besides, he is learning also from vidwans P.S. Narayanaswamy and Palai C.K. Ramachandran, both spreading the legacy of Semmangudi. Anirudh’s singing carries the briskness and vitality of the Semmangudi bani. Equally fascinated by mridanga beats, Anirudh has been learning to play the mridanga from vidwan A.S. Krishnan of Chennai. His elder sister is a dancer and Anirudh spent hours listening to mridanga jati-s and sollu-s. 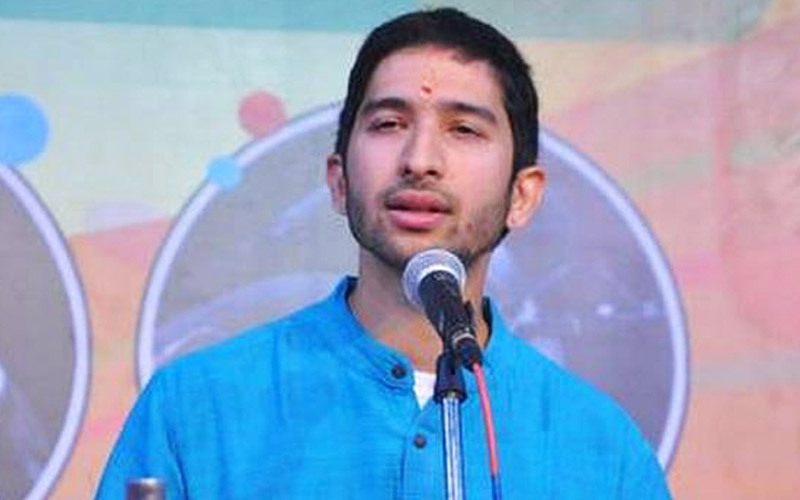 This helps him in the sphere of rhythm in his singing and also to vibe well with his mridanga accompanist in concerts. As early as 2004, Anirudh won two prizes in the junior category at the competitions conducted by the Cleveland Tyagaraja Aradhana festival. In 2009, he bagged a total of six prizes (five of which were first prizes) in different categories in the competitions conducted by the Madras Music Academy, no mean achievement. To top it all, he has been equally brilliant in academics and is an undergraduate student of engineering in the prestigious Stanford University.